Tune in Thursday, October 11 from 8 – 10 PM for a live broadcast of the debate between Vice President Joe Biden and Republican challenger Paul Ryan. 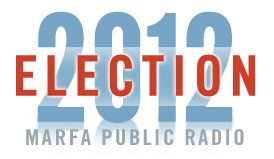 The hour and a half debate will be followed by a half hour of analysis from the NPR news tea. The candidates will debate on issues of foreign and domestic policy. This entry was posted in KRTS News and tagged election. Bookmark the permalink.